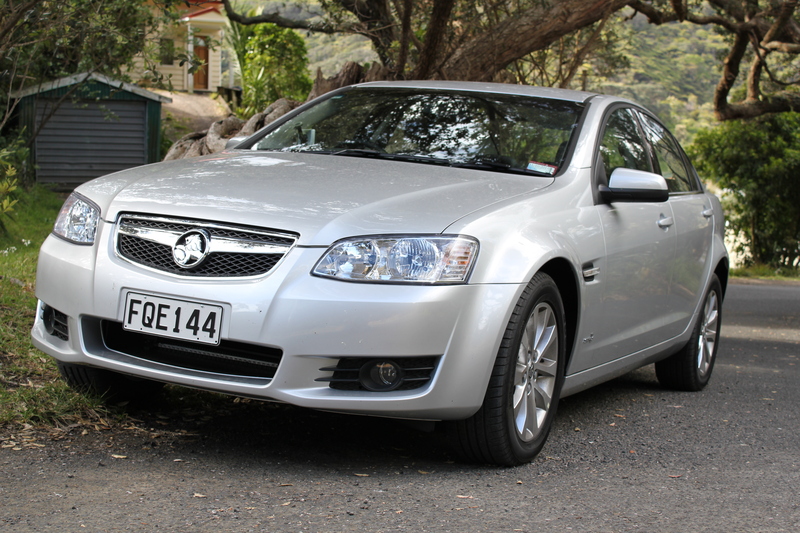 It was with some feeling of expectation that I approached the new three litre V6 Berlina with all the hype surrounding the new SIDI (Spark Ignition Direct Injection) engine I had high hopes of a powerful and economical drive over the next few days. Thankfully I wasn’t disappointed. Even with my heavy footed style of driving and plenty of that stop start city driving I was pleased to see the trip computer reading around 12.3 litres per 100k’s, factory claim is 9.3 which should be easily achievable on the open road. This economy is impressive considering the stigma behind large thirsty cars driving from petrol station to the bank for a fifth mortgage and then to the next petrol station but now you could drive from one end of the North Island to the other on one tank of juice. Not a bad effort in such a large and heavy car that puts out 190kw and 290Nm of torque. Plant your foot in this Series II Berlina and once the computer sorts out what gear it needs the car will float along to, and above, the legal open road speed limit in no time. 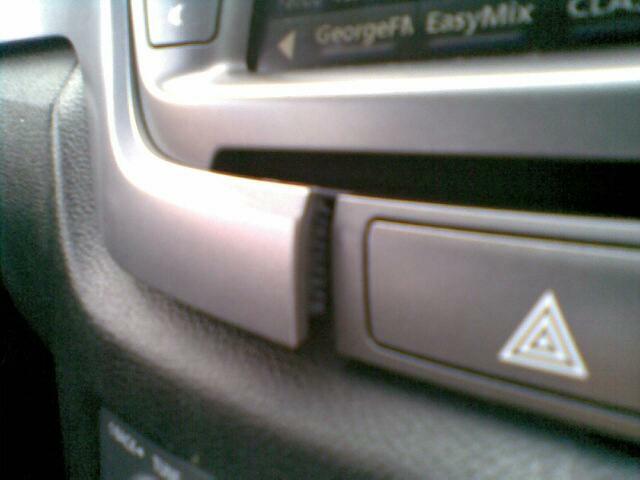 That is one of the gripes I had with the car, the gear changes. In sport shift mode it was marginally quicker on the kick-down but with normal mode the down changes are annoyingly slow, meaning you’ll need to pre-empt the passing manoeuvre to make the most of the 190 kilowatteges. But once the right gear is selected and the engine hits its nice little full noise rumble you’ll fly past that truck and trailer unit on the way to Waimauku quicker than a V8 supercar can roll at Bathurst, which will eventually prove fruitless as you will be stuck behind the same truck on the return home, as in my case. 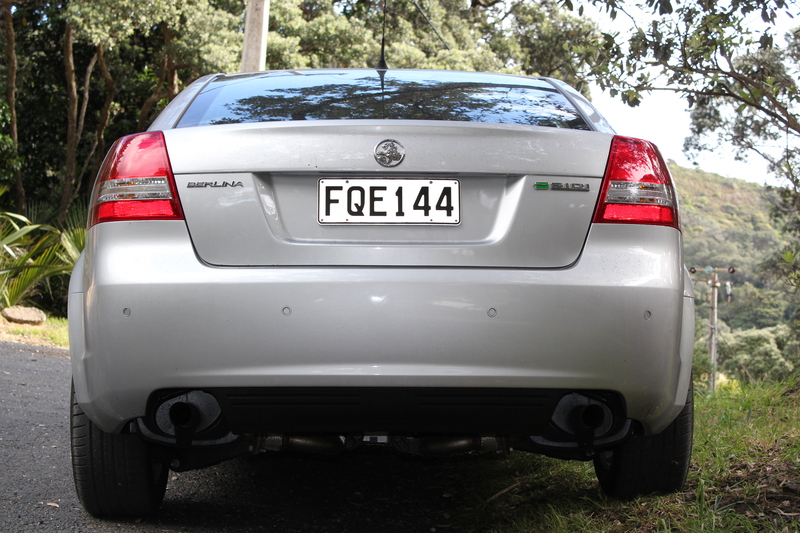 Also taking a drive out to Piha to snap the pics and wanting to give the car a good trashing on the narrow twisty roads I was stuck behind a little hatchback going considerably slower than I wanted. That’s ok, coming back hopefully I’ll have a clear road. Not so. Part way back I was able to give it a good go trying to shake an old XF Panelvan off my tail until coming up behind the very same bloody hatchback! Another area that GM has spent many many hours and resources and millions of coin developing and improving is the suspension. It’s a world away from the older models that came complete with liquorice components joined together with chewing gum. This beast will cruise around the tightest of corners at insane speeds well over the posted recommendation with barely a protest from the 225/55 17 tyres. The very comfortable leather seats with cloth inserts hold you in place nicely while doing so. On the subject on the interior this is where all the concentration GM has given to the engine line up and smooth suspension has meant some areas have slipped in the quality department. 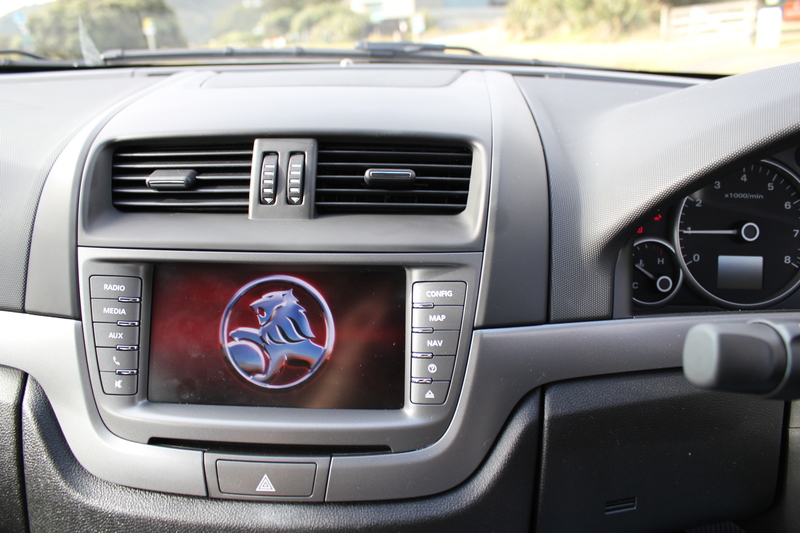 The cabin is a very comfortable place to be and has plenty to rave about with the intelligent Holden-iQ infotainment system with colour touch screen, Bluetooth connectivity, auxiliary input, USB connection, 1Gb of storage for ripping CD’s directly to the audio system, and the trip computer which has the ability to display three pieces of info although it would nice to be able to choose which three bits to view. Driving for too long without a break may be hazardous. This may get rather annoying as anyone travelling out of town will undoubtedly be going at least two hours away, even worse the reminder will pop up again after another 20 minutes and a chime will sound. Fortunately this warning can be turned off. 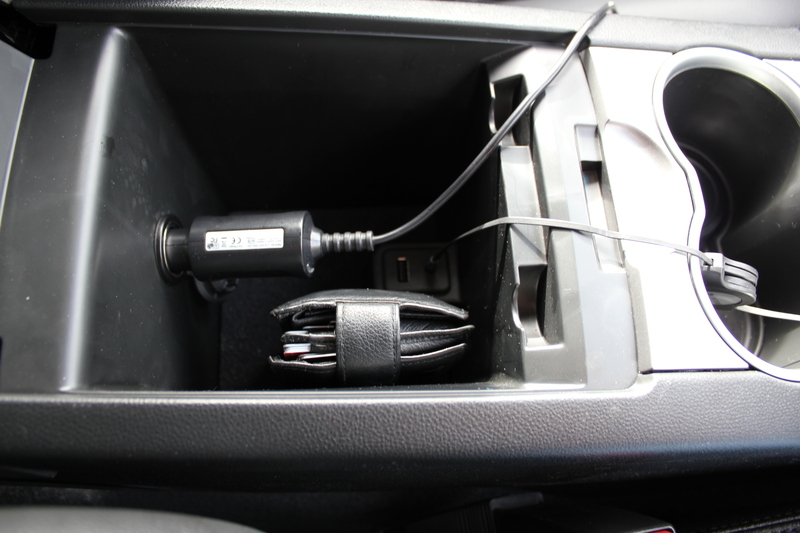 There are also many adjustments that can be made to various items such as how and when the doors lock and unlock, when and how the interior and exterior lighting turns on and off. What lets things down in here are the cheap plastics that seem to be slapped into place by a two year old. While pointing out to a friend the ‘Made In China’ interior bits a piece of plastic came adrift and wouldn’t click back into place. Disappointing for a car with only 1700k’s on the clock and if you had paid the $53,790 plus ORC, or more if you had tacked on the optional extras (which you would otherwise you’ll just get annoyed by the Nav and Map buttons sitting there doing nothing and the park assist display showing ‘Front Park Assist Not Fitted’), you would be rather peeved with this lack of quality at that price. The handy little storage compartment in the centre console is a great place for storing your wallet and the daughters lolly wrappers but once you plug in the 12 volt power supply for the GPS and the auxiliary connection it gets very crowded and makes it very difficult to use the space, for example, when trying to pull out the wallet for Constable Jones to check my licence. 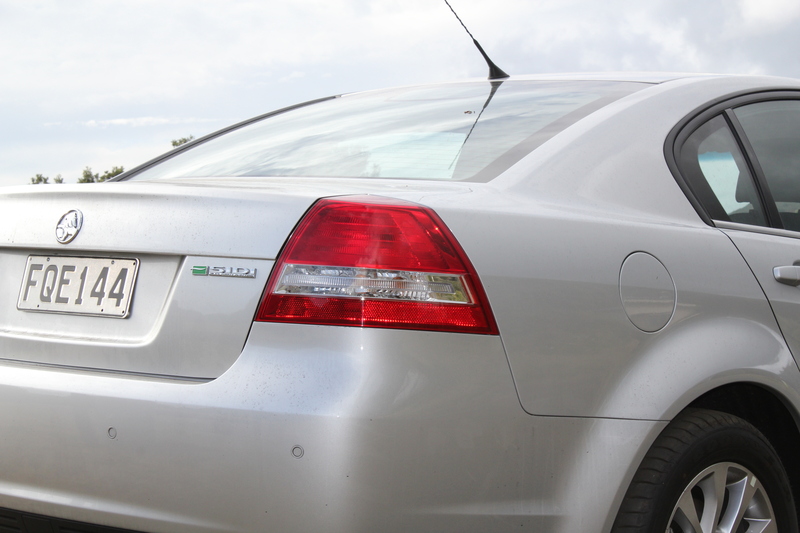 As for the exterior styling the average Joe won’t realise what a technical revelation this VE Series II Commodore really is for the Australasian automotive world without seeing the SIDI and Series II badges as it is very similar to the previous VE model. 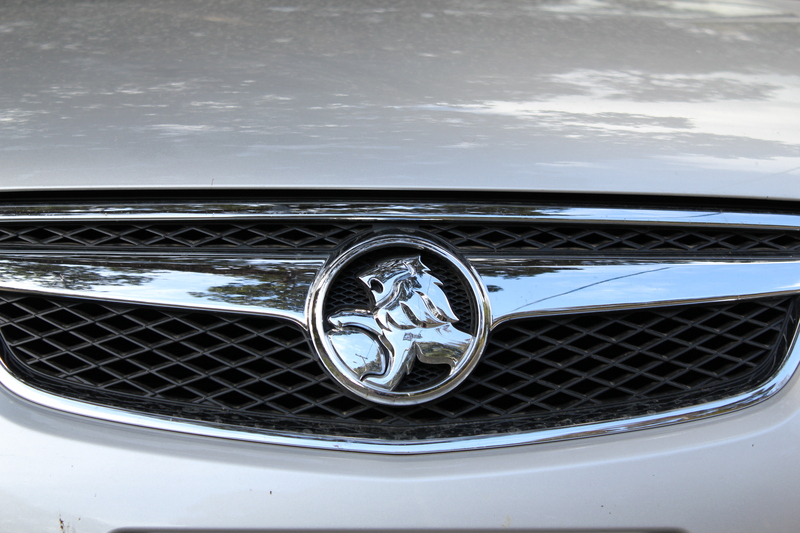 The front grill on the Berlina really is a touch from the European market and invokes images of Vauxhall and Opal and I doubt many loyal Holden fans will like that comment as a true Aussie Holden is definitely not a Vauxhall. Although now that the GM design is very much generic across the range it would be hard to deny it looks very similarly styled. 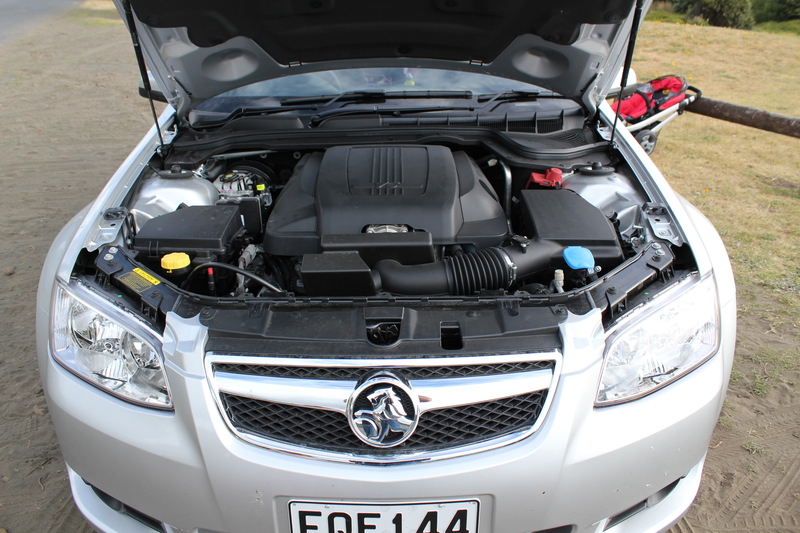 After all, the big V8’s are marketed in Europe as a Vauxhall VXR8. Would I buy one new? No. Would I buy one second hand in a couple years for $30k? Maybe but only if the insides are still intact and only while it’s still under it’s 3 year 100,000 kilometre warranty then flick it off as soon as that expires before the car does. Should you buy one? If you want a big comfortable car with enough grunt to tow the boat, horse float or camping gear and save dollars at the pump when it comes to the daily commute. And if you can tolerate the plasticness of the innards and the fact that half of those plastic bits will have fallen off after a few years, go for it!